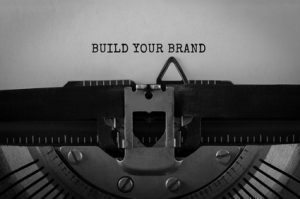 In order to further your career, it is imperative that you take the time to build your personal brand. Without doing so, no one knows what defines you. They are not aware of your goals, accomplishments, or values. Therefore, they will create a brand for you; their own narrative of who they think you are. Unfortunately, this can result in a premature plateau in your career. Therefore, if you have aspirations to move up or accomplish more, it is essential that you are in control of your personal narrative. Take the time to establish and remind people of your professional goals, accomplishments, and value by building your personal brand. After all, you are the CEO of your own career, and you want to drive how your colleagues, bosses, and career influencers perceive you. While it is essential to establish an online personal brand that is accessible by career influencers who use online platforms to find qualified candidates, it is also crucial to network within your current role. The people in your office–your colleagues and bosses–are just as vital to your network as those online. Take the time to establish relationships with people who are on and outside of your immediate team. You never know what connection will result in your next career opportunity. Also, be sure to add these contacts to your social media platforms such as LinkedIn. In this digital age, it is easy to share your values with industry influencers. By simply sharing or commenting on articles you find fascinating, you create a personal brand that communicates your viewpoints and values. To further the influence on your personal brand, go into detail about what interests you and what you agree and/or disagree with in a particular article. Do not leave the guesswork up to your network; be explicit about your personal thoughts. LinkedIn is the perfect platform to do this, and, since you are already networking there anyways, you can quickly demonstrate your values and share your expertise with those in your online and face-to-face network. While it is essential to work hard at the job you have, it is also necessary to dress for the job you want. One of the best ways to establish your personal brand, is to think about where you want to be and take opportunities that will help get you to that place. You have to be your own advocate and show the powers that be your strengths that lie outside your current job description. This means stepping outside of your comfort zone and establishing yourself as someone who is willing to spearhead new projects and roles. Remember your personal brand represents who you are to people who have the power to influence your career. Therefore, think before you post, speak, share pictures, or take opportunities that would not help maintain your professional persona. A general rule of thumb: If you would not be proud to show this picture, make this remark, or share this role with your grandma or boss, avoid putting it out there. LinkedIn isn’t just for job searches anymore; businesses and industry leaders are discovering this networking site now does more than simply find and fill empty positions, it can enhance your brand. By joining groups and becoming more active on the platform, you can enhance your personal branding as an industry leader and valuable resource. LinkedIn groups are an easy way for both busy executives and introverts to enhance their personal branding. 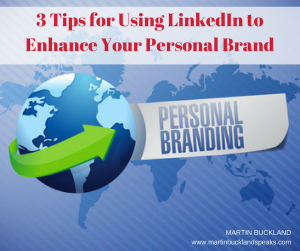 Here’s 3 tips for getting started in using LinkedIn to enhance your personal brand. Do the research. There are plenty of groups to join. Find a few that relate to your industry, and take a look at both the activity level and the leadership and decide from that information which group is right for you and your personal brand. If activity is high and you know you’ll only post once a week, your voice will get lost in the crowd. Choose a group where you have a real chance of making an impact. If there are a few leaders in the group, and they are in your niche or share encouraging input in matters around your expertise, you’ve found a good fit. Be consistent. Make sure you post or share regularly, and on topics which interest those in your niche or industry. Concerned you won’t be able to come up with regular original content? Make a note of interesting articles and posts on other platforms and share with the group. Offer your own experience and insight on those articles, and invite others to add to your ideas or solutions. Contribute regularly to polish and expand your branding. Add value. With over a billion groups now running on the platform, you want the group you join to be visibly successful and attractive to other LinkedIn users in your industry. Invite other professionals in your industry to join and to contribute even more useful content. Improving the reputation of the group makes it more visible on LinkedIn. This success is good for the group, and allows you to promote your brand to an even wider audience as time goes by. So you’re aware that you need to use social media as a part of your personal branding, your LinkedIn profile is polished, but now you’re looking at your Twitter account and stalling out. If you feel like you’ve somehow missed the point or lost out on the forward wave of the twitterverse, it’s not too late. It’s not too late to pick up terms like twitterverse, either, but first concentrate on the basics that allow you to grow your following and put Twitter to work for your brand! You, on Twitter. Fill out your profile in full so that anyone seeking more information about you can find it easily. I emphasize including this because so many clients come to me with a Twitter account and a username, but haven’t done anything else. At the very least, be clear about who you are and what you’re an expert in. Include a professional head shot and your elevator pitch as your bio. Everything about Twitter is short, concise, and to-the-point, so be prepared; you may have to tweak your bio to keep the important buzz-words and lose the fillers! When you have completed your profile and you are easily found on Twitter, add your handle to your business cards, LinkedIn, Facebook, and anywhere else you offer your contact information…there’s no point in joining if you don’t tell anyone! The basics. You probably already know that Twitter is a micro-blog platform where posts are 140 characters or less (yes, including spaces and punctuation). 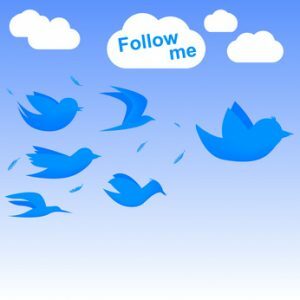 com and Mashable.com both have a Twitter primer that’s easy to read and can help you get started. After brushing up on what a tweet is, and a little about what it can do for you…you’re ready to start. Follow before you lead. Before we talk about what or how to tweet, one of the best ways to get a feel for Twitter is to follow someone else and read their tweets and also see what they re-tweet. Choose a business leader or author you admire, a few colleagues, and even a few companies you may be interested in. Spend a week or so looking not just at the content, but the links they share, and the re-tweets from others they promote. Once you’ve begun tweeting (that’s next), scroll through your contacts and follow your network contacts. Encourage them to follow you back. Start tweeting. Perhaps the easiest first tweet is a re-tweet of content you enjoyed from someone else. Stick to business, stay away from entertainment, pop-culture, and political tweets. You’re tweeting to enhance your personal brand, remaining neutral or silent on hot topics is smart. Tweet strategically. Keep your purpose, polishing and enhancing your personal brand, in mind. Tweeting should spark an interest in you as an expert in your field, as a potential employee, and as a network connection for others. Offer commentary, encouragement, or insights about issues and topics common to your industry. Definitely tweet your successes and triumphs! Design your tweets to highlight your expertise and value. Time your tweets around the lunch hour or end-of-work-day when people are checking in on social media. Once you’ve mastered the Twitter basics, it’s time to learn more about Twitter chats, Twitter lists, and even look into social media management software so that you can write the tweets ahead of time and have them posted automatically for you. When I needed a resume written for a specific job, I went to a professional. Why? Because someone objective with professional knowledge of what HR managers and recruiters are seeking can do a better job writing about me than I can. Professional expertise is important. Just as I would never write my own will or divorce or fill my own dental cavity, I go to an expert when I need a new resume. Resume writing isn’t simple or easy. 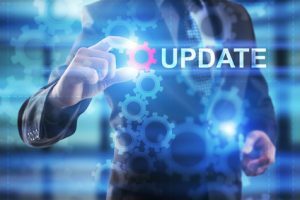 A resume writer needs to know about the use of modern scan technology and how it picks out key words to sort resumes before human eyes ever see them. A professional knows how to format a resume so those scanners don’t discard your resume. A pro also understands the current job market and knows what hiring influencers want to see on new resumes. They also know what those hiring influencers do not want to see on new resumes. Could I do that for myself? Of course. 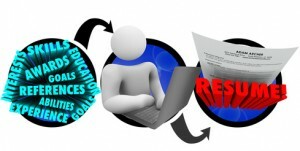 What other valuable quality does a professional resume writer offer? Objectivity. While I have the expertise, I cannot maintain objectivity about my own career. Most of us are unable to be objective while writing our own resume. For those who are modest, it’s hard to sell ourselves effectively even when we truly are the experts at what we do. Others have difficulty in knowing where to just state the facts without embellishment. When you combine expertise with objectivity, you get the perfect tools for creating a resume that scans well, catches the eye of hiring influencers, and promotes you effectively for the position you’re seeking. Think about it: When even professional resume writers hire another professional to write their resume, it’s the obvious choice for anyone who wants an effective, powerful resume to represent them in a job search. You always want to present a positive and engaging personal brand but it’s crucial in the midst of a job search. You’re working hard to find a new position, you know you need to polish your brand, but where to start? Focus on these three areas and you’ll improve your brand across every format. Appearance. You know that being well dressed and well-groomed for an interview or networking event is key, don’t forget to put your professional look online in your profile photo, too. Exhibiting a professional appearance is just as important when presenting yourself in text. Properly formatted resumes, cover letters, and thoughtfully completed profiles also win positive first impressions. Articulation of your brand statement. What makes you so special that someone should be compelled to choose you? This should be a concise, engaging, and confident statement about the value you bring to any organization. Think elevator pitch or tweet: create a concise statement with maximum impact using a minimum amount of words. Practice your message until you can confidently articulate the statement verbally, and use it online and in all written materials. Attitude. Employers are allergic to the dark side. 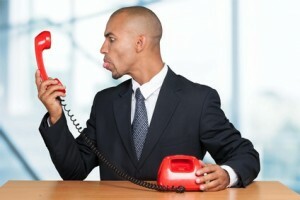 No one wants to add anger, bitterness, or depression to the team spirit or company morale. Anger, grief, and fear are normal and appropriate feelings about being disillusioned with your job or out of work. Keep that darker side of job searching out of the public eye and share it with your spouse, friend, therapist, or coach. Remove any online digital dirt. That negativity doesn’t belong on social media, in your resume, or at interviews and networking events. In short, you never want to portray yourself as desperate for a job despite your circumstances. 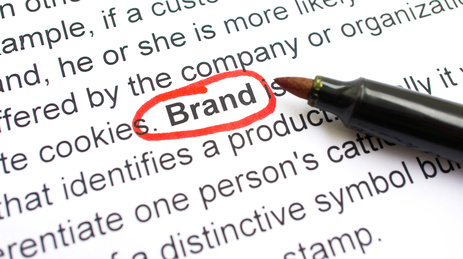 The goal of personal branding is to present a unified message of how valuable you are. These top three areas of focus for building a personal brand during a job search will help you deliver the best first impression of you. Remember Appearance, Articulation and Attitude: If it’s the best look or the best line that represents you, use it everywhere! Twenty-four hours a day, seven days a week, 365 days a year, you carry a brand. We are all self-promoters and promoters of our business, both in person and online through comments on various social media platforms and blogs. When you do this well, people come to view you both in your personal and your business life as a person they can rely on to articulate clear, precise and resonating messages. As a business professional, even on weekends you represent your company, so beware of your demeanor and behaviour. You must be sensitive to how you portray yourself both verbally and in writing, as society measures you not just through your business dealings but also through your personal behaviour. Find positive ways to promote your company online and in your community. Nominate yourself to organize events or publicize company initiatives and successes through social media. Become a brand ambassador, not just for your own personal brand, but for your employer’s brand. Excite your audience and excite the employer’s audience. Employees who inject excitement, those who heighten company events through positive involvement and social media activity, are most likely to be chosen for career advancement and promotion. So many today are unhappy in their careers. Sadly, they ponder too long and generate a sense of negativity to their peers and externally in their personal lives. They make negative comments about life in general, and in particular their employer or their work. Steer clear of this type of negativity at all costs. 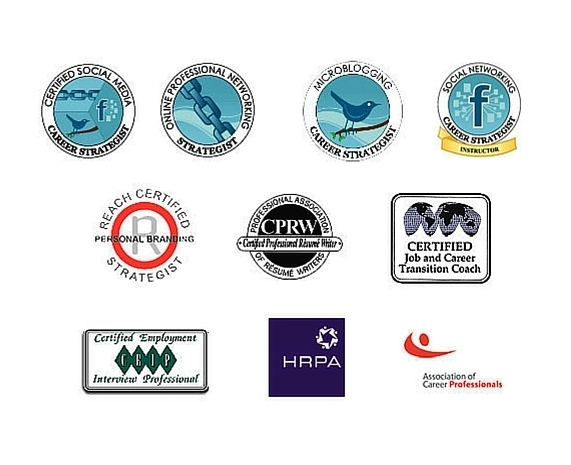 Place yourself in a decision maker’s position, someone who can advance careers. Would you hire a person who portrays negativity? Each and every one of us has our own persona, our own personal brand, which should be uplifting, resonating and engaging. Stick to this message in all your activities, 24/7/365, to maintain a consistent and highly regarded personal brand. 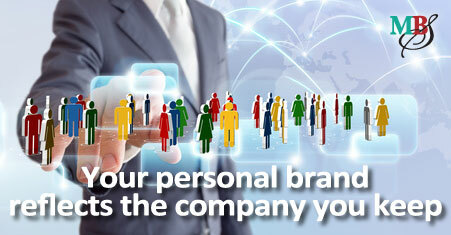 When speaking to senior business leaders across the world, people say confidently that they know their personal brand. Yet when I ask them to articulate that promise of value, they go extremely quiet. Don’t diminish the influence of a well-thought out and structured personal brand on your career advancement. To see examples of this, review your peers and those you aspire to be like, and look at what influence they portray in their personal brands. Social media allows you to link to thousands of people in a few hours, however be prudent in who you do connect with. You can make yourself even more credible by cultivating a valuable network of peers, icons or aspiring leaders in your industry, and other influencers in your field. On the other hand, if somebody in your network has damaged their value or reputation, then consider how you interact and communicate with them because others may question whether you share their beliefs. In my professional social media approach, I constantly scrutinize the people I am either currently linked with, or intend to approach. I know that my brand and professional profile could be devalued by associating myself with a person who has a questionable profile and brand attributes. Connecting with the right people can bring immense value to you and your online image. 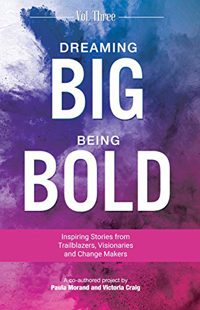 It could also inspire others to use you as a conduit to connect with key influencers in your professional career. 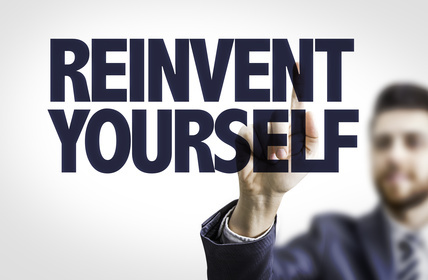 Can You Really Re-Invent Yourself? We all travel through ups and downs in our personal and career life, including external issues that nobody could control. Who expected in 2007 that in 2008 the world would be teetering on a major recession, which affected millions of careers? Faced with the need for reinvention, some people who want to wallow in self-pity and negativity will say it can’t be done. As a career management professional who has coached thousands of people across the world, I say wholeheartedly that yes, it can. It has become very easy for disgruntled people to vent their feelings on the internet, and that includes complaints about their peers and bosses at work. Unfortunately, that may mean there are negative comments online about you, and that may be the first thing someone finds when they Google your name. Then there’s the digital dirt you’ve tracked yourself, if you’ve been using Facebook as a personal site rather than a job search platform (see my tips on how to use Facebook professionally). However, despite all these issues, nothing is insurmountable. With patience and diligence, you can bury this dirt under sparkling displays of your expertise and personal brand. Purposeful and targeted social media activity, your own blog posts, and your profiles on active and static website platforms, will all work together to crowd out the negative comments and push them lower and lower in the search engine results. Then your web presence will accurately portray who you really are, and how you want to be seen. It costs a lot of money to hire executive talent, with various estimates ranging between $20K and $50K, and hiring authorities go the extra mile to ensure they appoint the right people. Today, more so than ever, they’ll journey far back to the beginning of your career to look for red flags such as gaps or demotions. Since they may see such a wide range of scenarios and viewpoints throughout your career history, take control of the impression you create today, and the story you tell about how you got where you are and what you’ve learned from your experiences. Keep your messaging consistent with who you want to be known as now, both verbally (at networking events; giving presentations; during informational interviews, job interviews, and other meetings with hiring influencers) and in writing (resume, cover letter, executive bio, and executive summary; on social media and email). In today’s economy when we’re starting to see a skills shortage, it’s far easier to reinvent yourself and even change careers or industries. That is where you can rely on the guidance and support of a career coach to provide valuable information on the tactics required. You can reinvent yourself, provided you deliver a powerful and resonating message supported by your personal brand, in all your dealings with people who can open a new door for you. A large part of personal branding is consistency. Varying off this path can distort how people perceive you, and you will fail to be remembered for your key strengths. Do you have a signature phrase that people will associate with you? One of mine is, “If you’re not on social media, you’re committing career suicide!” and I repeat that catchphrase in all my group presentations and one-on-one networking meetings, and when speaking to people over the phone. While using a catchphrase will help you stand out, it’s not necessary to articulate the same precise message all the time. Personally, I prefer to have a bit of variety. Challenge yourself to use the English language to its maximum, and find creative new ways to deliver your compelling message. We all remember good and bad public speakers. The good ones deliver a memorable and succinct message, with unique variations on the same theme. One of my favourite authors is John C. Maxwell, who writes voraciously about leadership. I find him just as inspiring as a public speaker. People remember you not just for the way you’re dressed, your poise, your charisma and your style, but for your language and the way you use it. Inflections in your voice can also be a way to emphasize the words that are most meaningful for you. Language is a major component of your overall brand and many perceive you through your verbal skills. What is your signature phrase? Can you express it in several different ways without repeating the same words, but delivering a consistent message? Your comments and input are welcome.